© 2019 John Mahoney Drinks Wine. 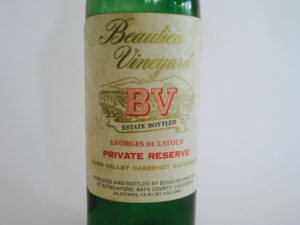 At 13.5% alcohol, costing under $12 back then, now worth $150, the 1974 Beauliew Vineyard Geroge Latour Private Reserve Cabernet Sauvignon, scored 18 gold-medal points on the Dionysian 20-point scale. 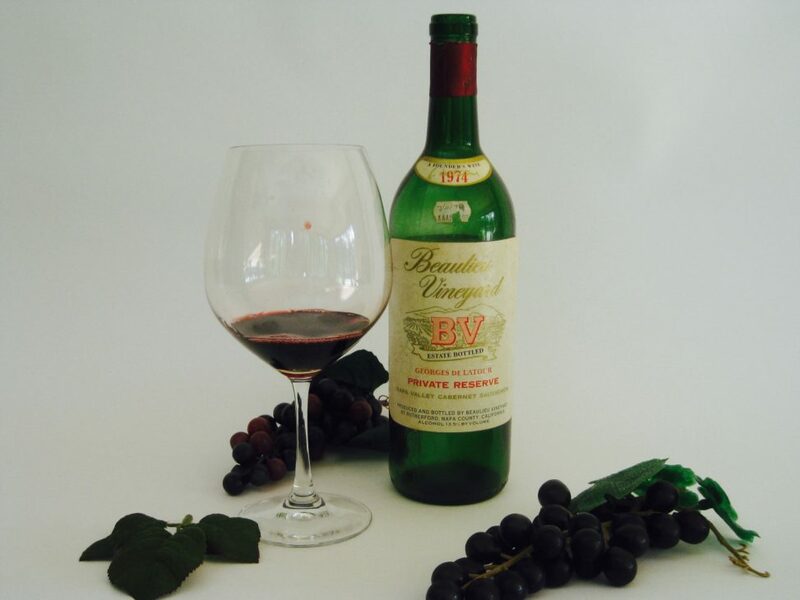 The ’74 vintage from Napa was remarkable and at 44 years old, this Cab was one of the best. Soft tannins, still ruby red, and red cherry fruits with vanilla oak notes from the American oak they used then, all offered a flavor California no longer provides. Excessive alcohol and big jammy fruits do not enhance quality meals. 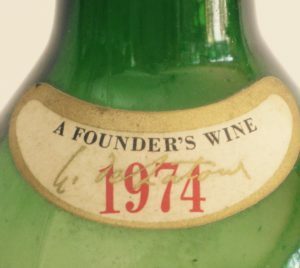 The wine was from my son’s birth year, kept in my cellar for 40 years, and served with venison loin, rice and asparagus. The wine was as smooth as silk. This Cab continued to open after decanting for nearly an hour. I wish I had more of them. We use it to toast to my son’s Godfather who had just passed away. In Vino Veritas. I have some half bottles of this. would be happy to share with you. still hoping to attend a dionysian event. Thanks for your comments on my wine reviews.